Talking points of your game? 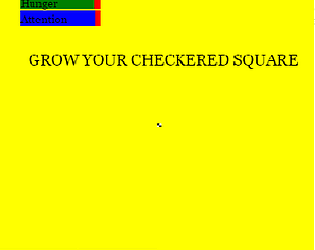 A virtual pet game using JQuery for the GUI in which you grow a checkered-square. Time spent working on your game? What assets did you use? I unfortunately did not understand the game. The 'Play' button doesn't seem to work.